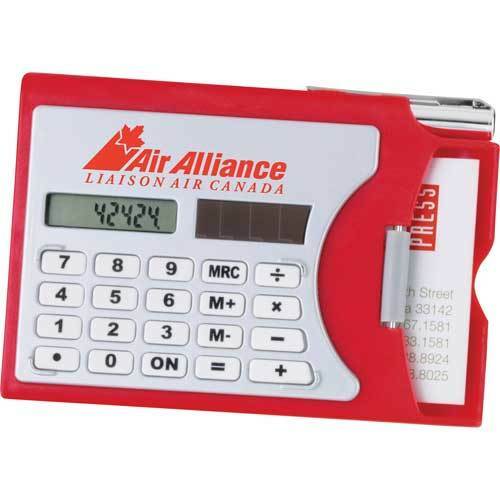 Includes solar calculator with business card holder/dispenser. Silver metal twist ballpoint pen with blue ink. Prices may vary.